Klyde Warren Park...There's an App for that! It was already on the map, now it's on an app! The beautifully designed green space in the heart of Dallas Arts District, connecting uptown with downtown, serves as an extension to your luxury home. Health, wellness and leisure intertwine into a lifestyle supplemented by a lush urban garden just steps away from your door. 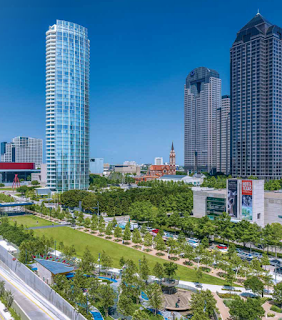 In partnership with Pariveda Solutions, Klyde Warren Park just launched an app to connect with their nearly 1 million visitors a year. Created by a group of bright interns, the Klyde Warren App is in tune with a fast-paced, engaged lifestyle. The newly announced Klyde Warren App offers a unique, customizable experience based on user's preferences, much like the experience of living at Museum Tower. 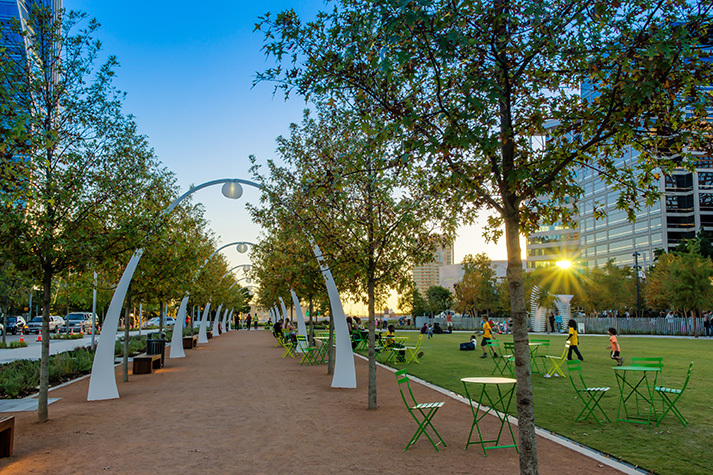 Complete with a programming schedule, food & beverage listings and a park amenities map, the App will keep you up-to-date with happenings in Dallas' urban oasis. Download the App in the iTunes Store or through Google Play and connect to our vibrant neighborhood. After all... with high-rise living at Museum Tower, Klyde Warren Park is your Front Lawn.